Those arriving for the conference in Battambang got into the mood of the gathering from the first moment when they were welcomed by greeters in traditional costume who had come from the four participating countries – Cambodia, Laos, Thailand, and Vietnam. The spirit of fellowship among the residents of the different nations – a large majority of them young people – was a hallmark of the historic gathering. As with many of the 41 conferences, finding a venue large enough for the expected number of participants was the first challenge facing organizers. In the end, the city hall of Battanbang – the second largest city in Cambodia, with a population of more than a million people – was the only place found that could handle the 2,100 people who answered the call of the Universal House of Justice to come together to celebrate and to plan. The indoor space was supplemented by large tents set up in the compound surrounding the hall, providing room for the overflow crowd to watch the proceedings by video link. The opening devotionals included chanting in five languages. A representative of the provincial government arrived, followed by the presentation of a traditional dance. The chairman of the National Spiritual Assembly of Cambodia gave the welcome and called on the people from each country and region to stand so that everyone could see the unifying power of the conference. Ms. Uransaikhan Baatar and Mrs. Joan Lincoln, members of the International Teaching Center, attended the conference as the representatives of the Universal House of Justice. Ms. Baatar gave the first talk, covering briefly some aspects of the history and development of the Baha’i Faith in recent decades. She explained that the Baha’is of the world will be launching 400 new intensive programs of growth by April of this year, with 12 of them in the countries participating in the Battambang conference. 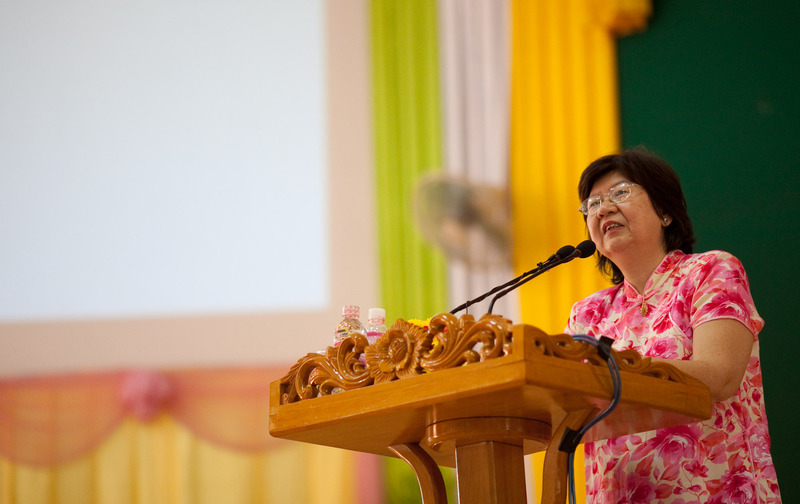 “This conference gives us a chance to realign our lives, to reassess our priorities,” Ms. Baatar said. Representatives of the four invited countries shared news of their communities, with those from Vietnam expressing their joy that the Baha’i Faith is now officially recognized in their country. 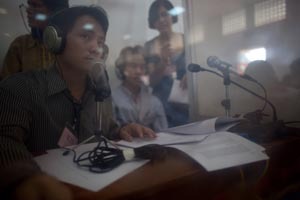 Khmer was the language used over the loudspeakers, while people needing a different language used earphones and tuned into the simultaneous translation of their choice. 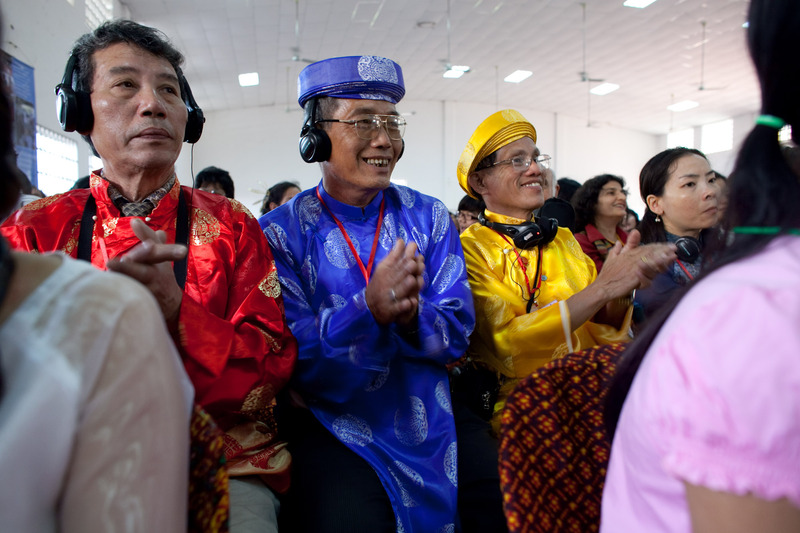 Translators worked tirelessly to capture the spirit and drive of the various presentations. Overall, a large group of volunteers worked continuously to ensure the well-being of the participants. Volunteers from various countries who spoke different languages were able to work together through the use of translators. Friends from each country shared stories from their home communities, many of them illustrating how the core activities build on each other – one activity leads to another, as the community grows. Yoo, a youth from Thailand’s Nonthaburi cluster, told how she began assisting with children’s classes and eventually felt that the time was right to visit the families of the children. She and her friends discovered that many of the people they visited were receptive to hearing about the Baha’i Faith. When some of the people expressed a desire to join the Baha’i community, new devotional meetings were organized. Soon the number of children and youth participating in the core activities also increased. From one community, some of the youth told how they had believed that direct teaching of the Baha’i Faith was not possible because of a feeling that in their culture people do not talk much about religion. But they decided to launch a teaching campaign anyway, and their early efforts resulted in 42 people wanting to join the Baha’i community. “You open your mouth, God opens people’s hearts,” said one of the young people. After some of the stories, Ms. Baatar commented on the profound impact of the core activities. “The city becomes a magnet for divine confirmations, and the country becomes a true paradise,” she said. 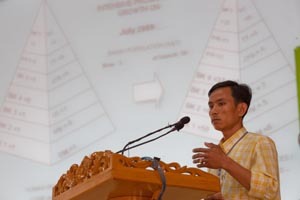 Another presentation told how a Cambodian high school student named Chhan Ngeourn was inspired to serve after completing Book 3 of the institute courses. 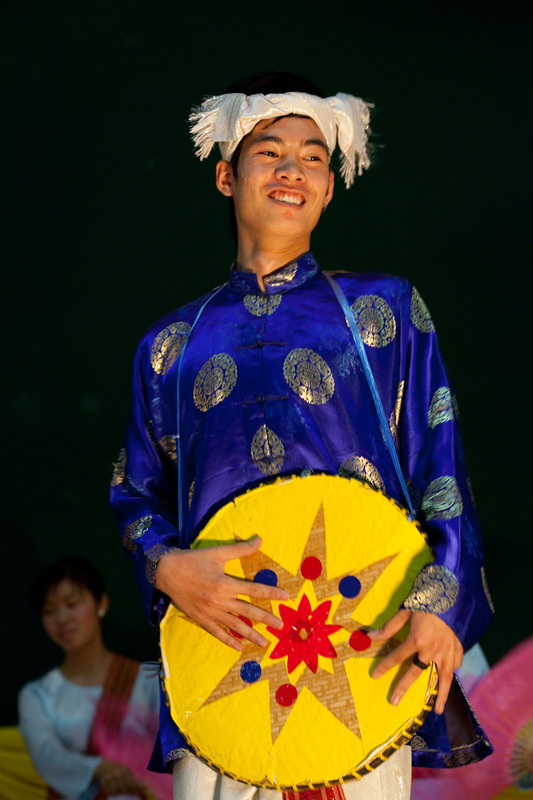 One of the adults helped Chhan organize children’s classes, and he went on to complete the sequence of courses himself and accompany others as they too worked to established children’s classes. His home cluster of Pursat now has 23 children’s classes, with 212 participants, contributing to Cambodia’s total of 197 classes with 2,466 children. 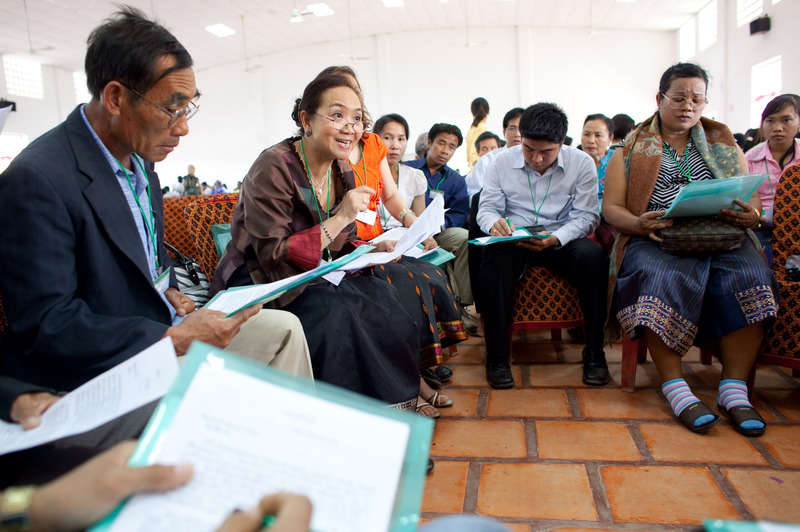 “The richness of experience and learning of the Cambodians inspired everyone,” one participant wrote afterwards, describing the conference. For the cultural program Saturday evening, there was a beautiful array of cultural dances from each of the guest countries. The songs, presentations, and dances raised the spirit of the crowd and brought the various cultures together. One viewer noted that a “love of beauty and a sense of the sacred” were much in evidence. 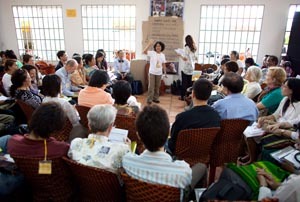 Dr. Lee Lee Loh Ludher, who serves as a counselor, gave a stirring talk, after which participants divided into workshops to reassess the plans for specific communities in light of the guidance from the Universal House of Justice. The groups were abuzz with excitement and enthusiasm, setting new, higher goals to be achieved by the end of the current five-year effort to establish core activities and intensive programs of growth. A young man from Laos named Sam treated the friends to an original composition called “We Are Unity, ” after which representatives from each country were called upon to inform the conference of their new plans. Each country made audacious new goals, backed by commitments from individual believers. Closing remarks were given by a representative of the host national assembly and by Mrs. Lincoln, who then led the gathering in multilingual versions of the songs “I Have Found Baha’u’llah” and “Will You Give Your Heart to Baha’u’llah.” Following two days characterized by what one participant called “youthful vibrance and serious deliberations,” the crowd dispersed with high spirits, bittersweet goodbyes, and firm, confident steps. 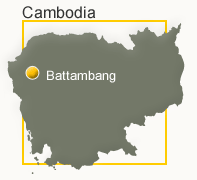 Video: Sights and sounds from Battambang. 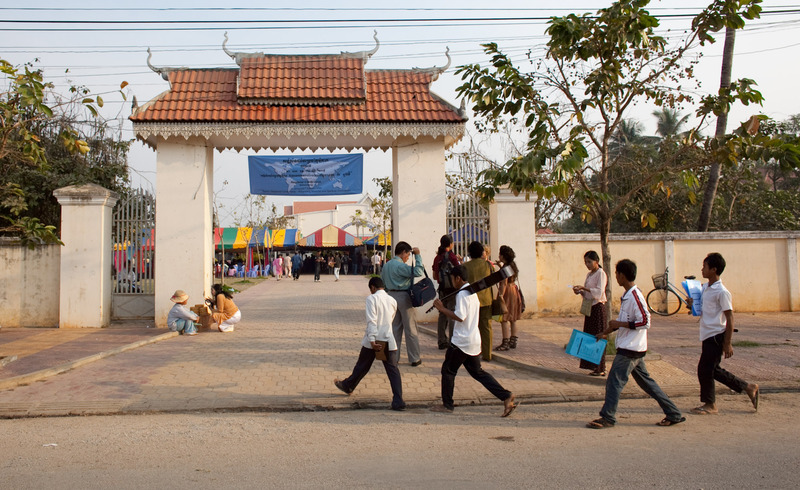 People arrive at the Battambang city hall, where the conference was held. Wearing traditional dress, designated people from the four participating countries greet each person upon arrival. 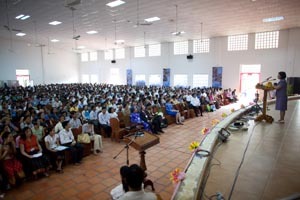 Some 2,100 people attended the conference. The main hall accommodated three-fourths of them, with others watching via video from a tent outdoors. Addressing the gathering is Ms. Uransaikhan Baatar, who attended as a representative of the Universal House of Justice. 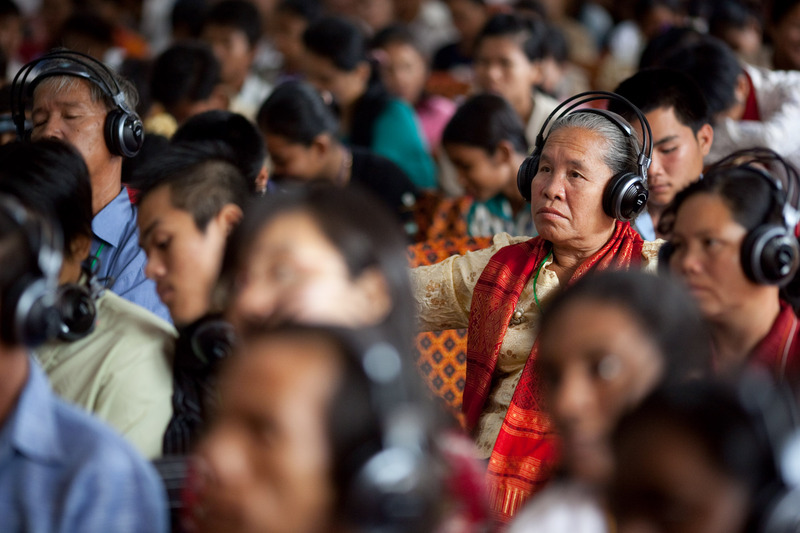 Some people took advantage of simultaneous translation to listen to the proceedings. 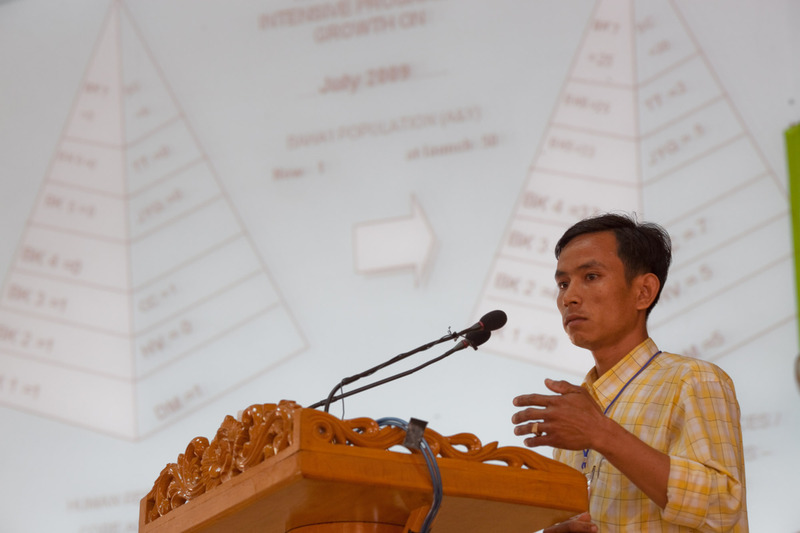 A representative from Cambodia explains plans for the Mongkul Borei cluster. Breakout sessions allow everyone a chance to participate and consult. Chen Chai Baran is the facilitator here. 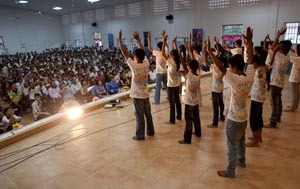 Different regions offered segments for the cultural program. 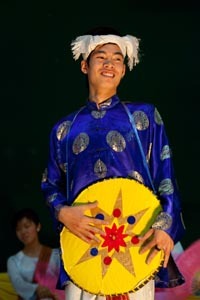 This is a dance from Vietnam. Young people from Cambodia perform. This presentation is by the Laotians. 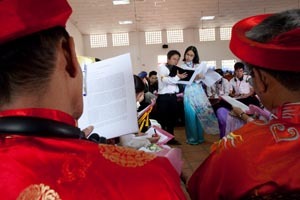 Traditional costumes add beauty and color. Sopheap Hou provides translation. Five languages were used at the conference. Dr. Lee Lee Loh Ludher, a member of the Continental Board of Counselors, addresses the conference. A workshop consults about activities in the Bangkok cluster. Tim Sulee, center, is the facilitator. 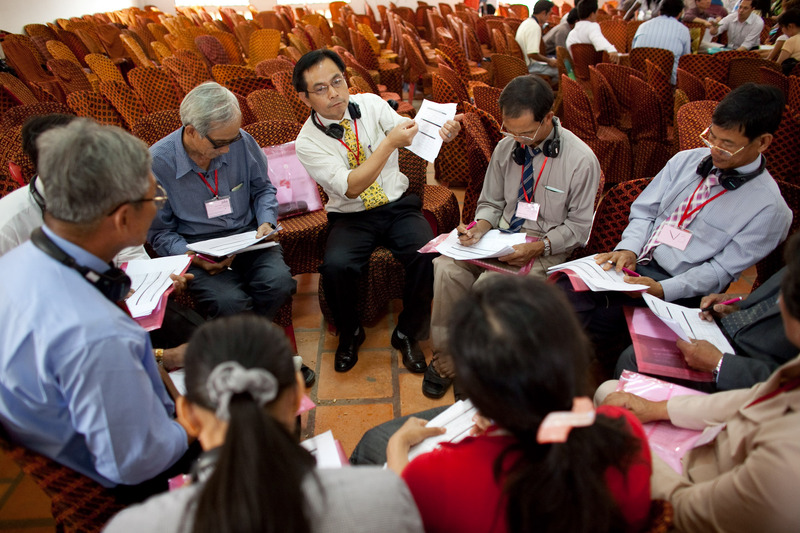 Chau Le Tuan Phuong (holding book) and Quynh are the facilitators at this workshop. Breakout session allowed for very specific planning of future activities.